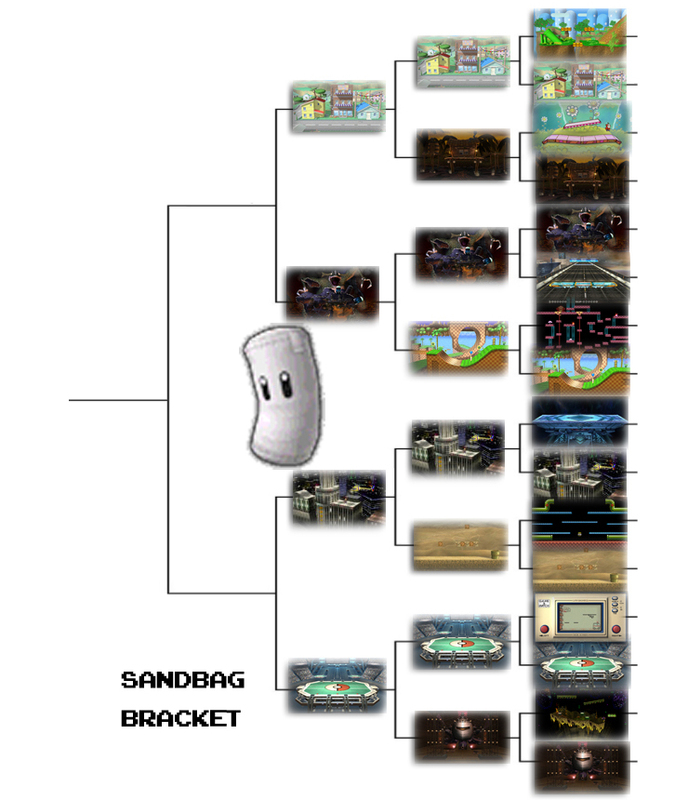 A healthy mix of Melee and Brawl levels survives... and the decisions get harder and harder. It's funny though that Fourside barely made it through the last round but here it succeeded almost unopposed! That's the power of the Mushroomy Kingdom! Close Call Award: Onett and Pokemon Stadium 2 both were 'close calls'... at a whopping four vote difference... so not close at all. No Hope Award: Mushroomy Kingdom lost horribly. Not surprising based on how many fans seem to feel about it. Hmm, maybe you could put which stages they were up against in results threads? Otherwise I have to hunt down the other thread to see. Can't you tell by the bracket graphic? Oh yeah there is a graphic I forgot, lol. I use no graphics browsing on my phone. Hmm looks like all 4 of my choices won this time. Not that I'm overly enthusiastic about any of this bunch except the Metroid one. Same. And although I like Brinstar Depths a lot, it can't quite match up with some of my other favorites because playing against the computer is worthless there. Not doubting you but don't remember. What makes the AI worthless there? They really didn't know how to deal with the spinning stage and would usually get stuck on the bottom and fall to their doom. You could just kind of avoid them to win. My four choices made it here also! Mushroomy Kingdom as almost another shutout, I think it got only one pity vote.